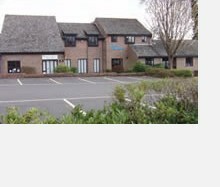 Office-Lets draws on 40 years of experience in providing Serviced Office Space in Commercial Property, originating in Surrey and expanding into Sussex and Hampshire. People seeking Offices for Rent in the UK increasingly utilise Serviced Office Space rather than the more complex UK Commercial Property Lease. We aim to provide commercial property owners with introductions to small and large businesses looking for offices for rent by serviced office space or business centre providers. 40 years of experience in providing Serviced Office Space in Commercial Property. Providers of Serviced Office Space for rent in areas of great commercial importance. Site with proximity to airports, ports and major UK commercial centres.